Freemasonry is the oldest and largest fraternity in the world today. From its humble beginnings in the 16th and 17th centuries, Masonry spread across the globe and has counted millions of men from all walks of life and has made their lives better. Freemasonry is a traditional initiatory order. 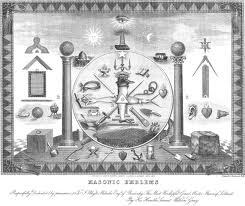 Masonry has been described as a "peculiar system of morality, veiled in allegory, and illustrated by symbols. Every man who enters the lodge room is joined with the brethren of the lodge through shared ideals related to brotherly love, relief, and truth. Freemasonry is a uniting power for millions of men across the world. Men have joined the organization for various reasons; the opportunity to meet and spend time with like minded men on a regular occasion, the charity and philanthropy that the craft supports, or the many philosophical paths that the order inculcates. But every man who knocks on the door of the fraternity finds a welcome home and a group of men that will embrace him for being exactly who he is. For he is just like them, a man who is only trying to become better. The following ebook was written by Brother Greg Stewart. 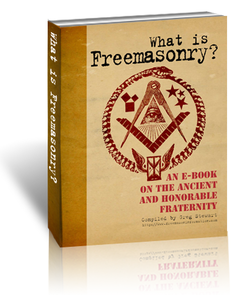 It is a great introduction to what Masonry is, touching upon the history of the order, the philosophy, and the many avenues that make up the great pathways of Freemasonry. Click on the photo to open to the site, or right-click and choose save link as to download the file. Also, check out Brother Stewart's website at www.freemasoninformation.com.